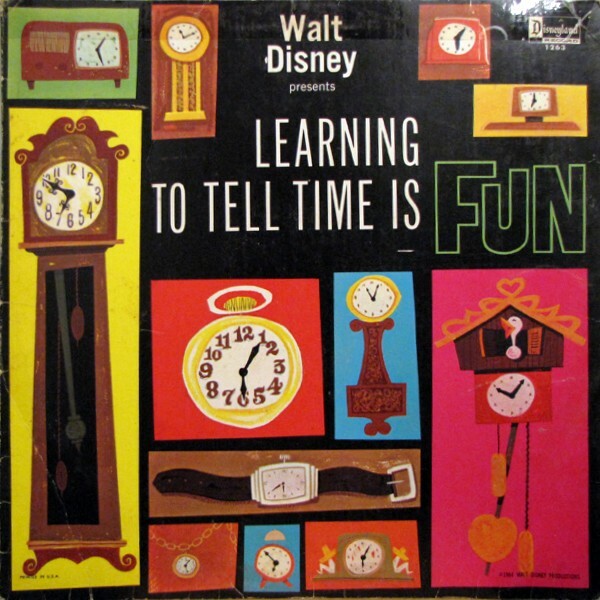 My fascination with time and the longevity of that fascination takes me to my earliest memories of a childhood record by Disney called “Learning To Tell Time Is Fun”, narrated by Laura Olsher and played countless times until committed to memory, parts of which are still there. There is a funny story in my history of a time I was called on by my grandfather, a minister, to recite that album when I was three years old for his district superintendent but I will save that for future writings. I could tell time before I knew my ABC’s, before I could ever read a book and before I knew what barbecue was. From that album, I learned that human beings began in the earliest days of mankind to measure time and its passage by the sun and before long, the sundial came along. I discovered that as the millennia went by, all manner of devices to measure time were used and ultimately replaced as something better came along. None were very accurate but from them, the sun and the stars, crude devices and imperfect primitive engineering, we learned that time could be measured in years, months, days, hours, minutes and seconds and that the span of a man’s life was typically a certain number of years, a few more for a woman. One day man invented the clock and the clock, in one form or another, has been with us ever since. From the moment I could tell time, I made it a point to look at every clock I saw, computing the time in my head and learning that my body was attuned to it. I became aware that we ate breakfast at a certain time, lunch when the hands pointed straight up and dinner a number of hours later. I also knew that most dreaded time, the one kids call bedtime and the ones their parents call free time, and I would observe its stealthy approach with a sense of dread. When I began school, there were new times to observe, such as when school began, what constituted tardiness, when recess began and when it was time to go home and so from this early age, like every other person on this planet, I was indoctrinated into the patterns of daily living. I remember once when the classroom clock stopped working, I felt a complete disconnect because I couldn’t measure the progress of the day and my kindergarten teacher quickly tired of my asking her what time it was. 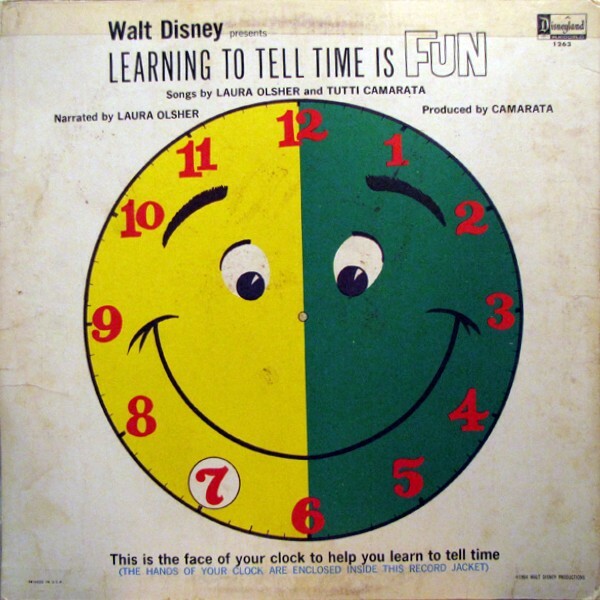 In the second grade when it was time to teach the class how to tell time, I felt proud to be excused from the lesson when I demonstrated that I was already proficient and got to spend that time reading a book while everyone else drew hands on pictures of blank clock dials. There is an entire generation that missed out on this type of instruction during the early 80’s when digital clocks and watches nearly replaced the more traditional timekeepers and many teachers stopped teaching this because anyone who could read numbers could read the time. Fortunately that fad passed and I was pleased to note that my son brought home one of those clock dial worksheets to do the other night. When I turned seven and after having my requisitions denied by the PFD (parental funding department) for two years in a row, I received my very first wristwatch and began the journey down the road of obsessive compulsive watch disorder (OCWD). A watch back then was a significant gift at any age level because even a Timex had a true mechanical movement and the disposable plastic quartz was still several years in the future. 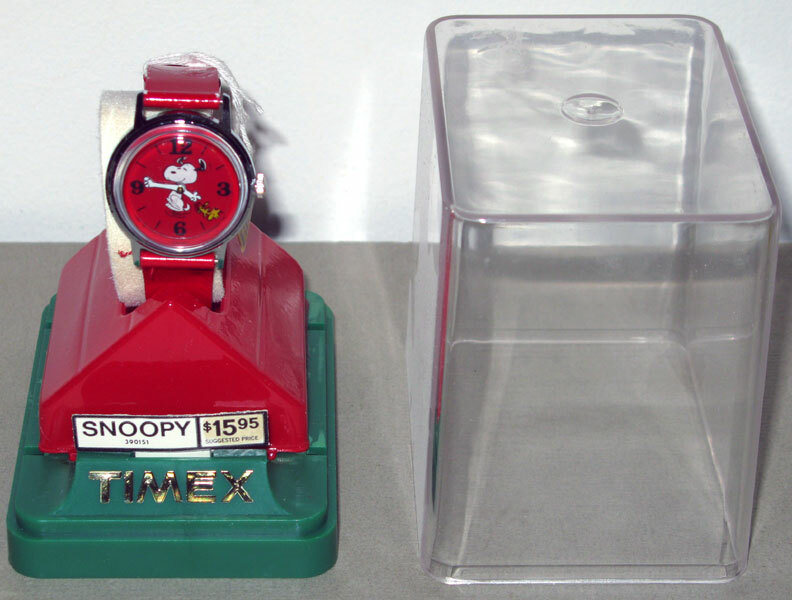 My Timex watch featured Snoopy the beagle on the dial. The hour hand was his left hand and the minute hand was his right one. The second hand wasn’t a hand at all-it was an image of Snoopy’s sidekick, Woodstock on a transparent disc that rotated around the dial, making him “fly” around the dial like magic. I was captivated and wore it all the time and my family had no need of a chiming clock because I was always giving out the time like some radio station. I was very responsible for my watch and I remembered to wind it every morning. It ticked as a mechanical watch should and it was neat having a tiny mechanical machine strapped to my wrist. Unfortunately, I overwound it one day and broke the mainspring and that was the end of that watch. Thus followed a long line of watches over the years and my fascination with them only got worse. I found it was also contagious as I infected my brother with it and he has unsuccessfully fought the disease for many years now as well. Some people ask me if I still collect watches but I have never collected watches-I consume them. I buy one I like, wear it for a while, sell it when I don’t wear it anymore and move on to the next one. A few coveted watches I keep for longer periods of time and one or two I have kept for over twenty years. I also have inherited a number of vintage family watches, all safely entombed at the bank that I will never part with until I hand them down to my son. To me, the ability to measure time is important and the aesthetics of the device to do it with is important as well. Who wants a capable watch if it looks like junk? Above all, I prize accuracy and try to ensure that my keeper watches stay tuned and maintained. I like to be on time for meetings, even early if I can, and I run my day based on the time. I prefer mechanical watches, made in the tradition of the old makers, where hand craftsmanship is practiced in companies that have been in business for decades, if not centuries. Yes, you have to wind them if they run down and they aren’t quite as accurate as a quartz but I can live with only 3 or 4 seconds off a day! I also enjoy them because the second hand glides and doesn’t advance only once per second. Time is fluidic, always in motion and the measurement of it should also be fluid and continuous. Time doesn’t start and stop every second. Yet, if all of time is constant, if all of time is measured in precise incremental amounts, why is it that time feels different for everyone? Why do fun days go by so fast and boring days so slowly? Why does Christmas feel like it only comes every 5 years to a small child while the parents wonder how on earth it could already be time for Christmas again? Time, circumstances and our bodies like to play tricks with our minds it would seem. I have found that every year seems to go by a little bit faster, as though the clock was speeding up on us ever so slowly until, without realizing it, another year is suddenly gone. I’ve become much more aware of it when I stop for a minute and consider that my son is already approaching 7 years old when it seems like he was just a baby two years ago… or when I really make myself think that my parents and the other parents I grew up with in our neighborhood are not 30 years old anymore and that I am older than they were when I thought they were old…as Dolly Parton said once “time marches on and sooner or later you realize its marching across your face”. Our bodies are tuned in to time and our memories and experiences fill our brains as our life goes forward. Our bodies know that within reason, we are designed to live about a 75-90 year lifespan, and of course there are those who live longer but our biological chronometers gear us in that direction. When we are five years old, a year seems like forever because to the five year old, it’s 1/5th of his total current life and that is how his body perceives it. In my case, a year is 1/44th of my current life so a year to me is a much smaller bite of my life than it is to a five year old. Time seems to speed up because the length of a year is measured against a cumulative number of years that grows as life goes forward. Memories can speed things up too, because to a five year old, the brain has so much room for new information and memories made but as we get older, there is less and less room and we lose whole memories and pieces of our life that is deleted to make room for newer and more relevant memories. Time, no matter ones age, is fluid, constant and unstoppable but if we live in the moment, if we truly stop and smell the roses and sample the palate of flavors it offers, we can slow down how fast we move in its current. Like a river that runs through a canyon, time carves its way forward and how we choose to live each day can make the difference between riding the current on a fast boat or floating along on a rubber raft. Using the watch, we mark our steps on the way, noting the time we come into this world and the time we go out of it and a million things in between. For me, the watch reminds me to keep an eye on time and if its running along too fast, I need to slow myself down a bit and see, really see, the world around me and the changes that take place each day, enjoy the people in my life that are here in this moment of time, draw experience from the past and have vision for the future. As King Solomon wrote, “To everything there is a season, and a time to every purpose under heaven” and adds a time to be born, to die, to plant and pluck up, to kill, to heal, to break down, to build up, to weep and laugh, to mourn and dance, to rend and sew, to speak and to keep silence, to love and to hate, to make war and to make peace. The word “Time” has more facets than a diamond and just like the diamond, it can be many different things. Equally beautiful and equally as hard as one when it chooses to be, it is valued by many, coveted by some, envied by others, sought after and needed and ultimately will leave us behind when our “time” is up. Time, like diamonds, is forever and forever is a mighty long….well, you get the drift. Time sees us born, watches us grow, measures our lives, sees our children born, carries us with it as we age and eventually abandons us when our bodies can no longer keep up with its ever-forward march. We can only live in the moment of time we are in, neither in the past nor the future but only where we happen to be at any given instant. We cannot harness it, though we can certainly measure it and to the ultimate limits of accuracy at that. We cannot travel backward in time except in memory, nor forward in time except in assumption of what may come. Time can be our friend and it can be our enemy, depending on the situation and what need we have of it. Time is our constant companion and it walks with us throughout our days. My fascination with time will no doubt accompany for the rest of my journey as well but I will enjoy the moments as they come, find meaning in them and file them away to remember another day. Memories are moments of time preserved and like that old record album, which resurfaced a few years ago, they can be brought out, dusted off and played again, reminding us of milestones in our lives and significant events that shaped us then and continue to do so today.